When you plan a wedding, you plan on having out of town guests. For a typical wedding, you have a handful. For ours, all our guests will be from out of town. So I can't worry about just 20 or so bags. I need to put together 70 to 100. 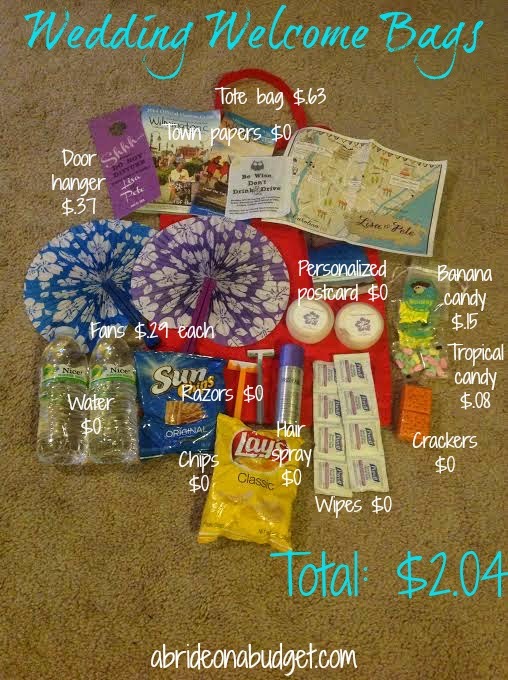 I started to collect items for my wedding welcome bags ... and I went shopping at Walmart to add a little more. 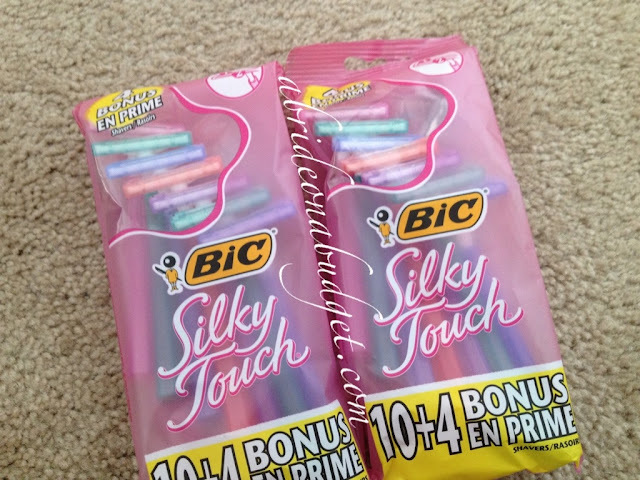 I "bought" these Bic razors for women. The 14-count pack is only $2.96 at Walmart. There was a $3 off any Bic disposable razors coupon in the newspaper. Walmart will take this coupon, even though it is a few cents more than the actual item. There are 10 packs available, but to get more for your money, look for the packs with four bonus razors for free. If you are putting together wedding welcome bags too, you might want to head out for these, especially since they're free. Just keep your eyes peeled for this coupon. The truth is, wedding welcome bags are a nice touch for a wedding but they can get expensive. And when you're planning a wedding, the last thing you want to do is add more expenses to your list of things to pay for. That's why I'm collecting the freebies that I can now. If I can find a couple more bags of these razors before the wedding, that's great. And if I can't, I'm not going to stress over it. If you don't have the coupon, these are still a great price. At $2.97, it's only 21 cents a razor. Our plan is to tie a men's and women's razor with a little bit of ribbon (since the majority of people are coming as couples) and place them in the bags. If I was going to a wedding and got these, I would love it. I can't tell you how many times I've gone on vacation and forgotten my razor at home. BRIDAL BABBLE: If you're coming to my wedding, what color razor would you like? that is SUCH a good idea! I hope you find more.